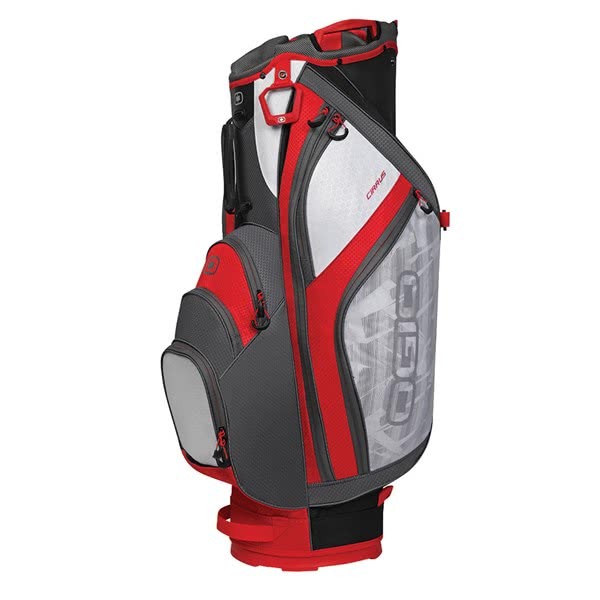 The Ogio Cirrus Cart Bag utilises a lightweight, durable construction to create a bag packed full of features that is perfect for the golfer who uses a trolley. 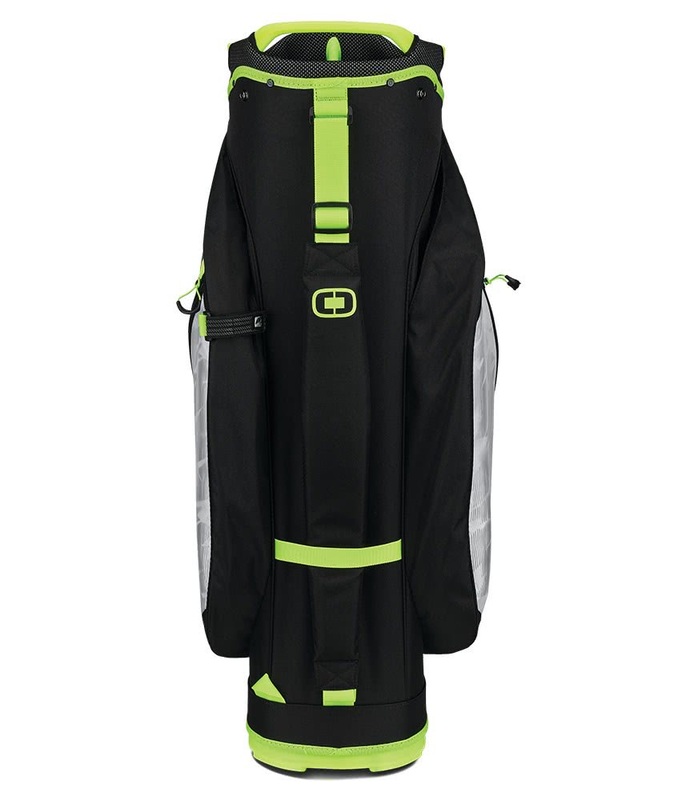 Nine forward facing pockets with easy pull zippers have been strategically positioned to provide easy loading and access when on a trolley. 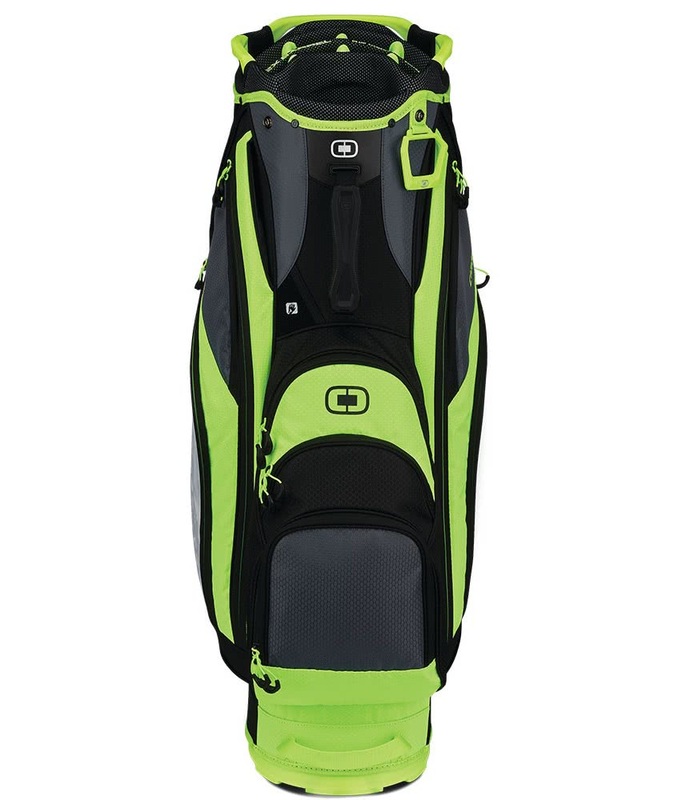 A 15-way, barrel cart top has been used to provide excellent club management. A front dual putter pit provides the perfect storage for larger style putter grips. 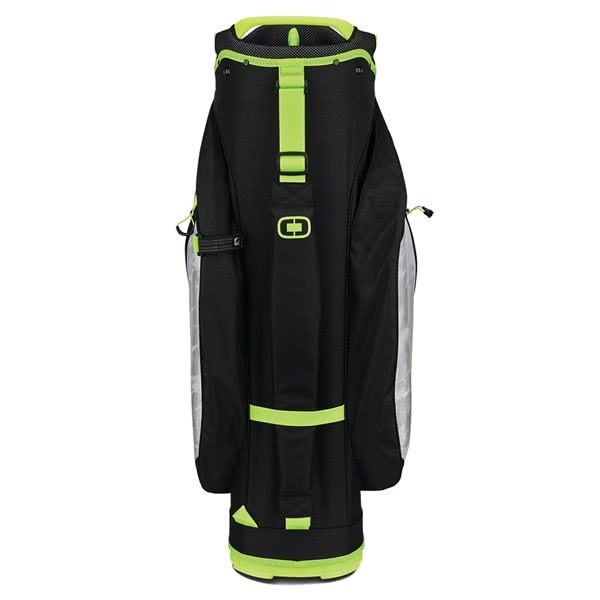 Incorporated into the top design of the Cirrus Cart Bag are three moulded grab handles that make lifting and loading the bag much easier. 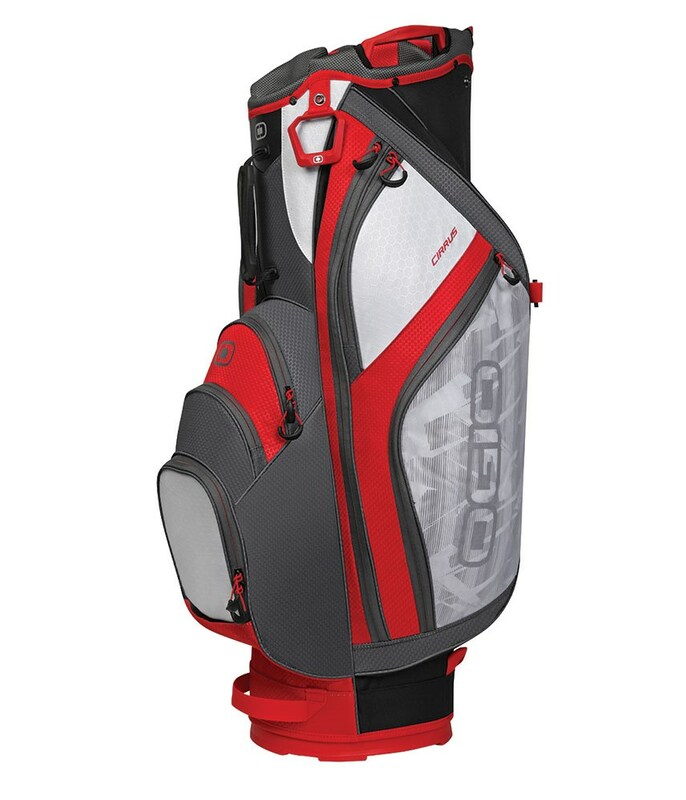 Other features on the Cirrus Bag include a cart friendly base unit that will prevent the bag from twisting when on a trolley. Ogio have also included a towel hook, umbrella sleeve and matching rain hood. 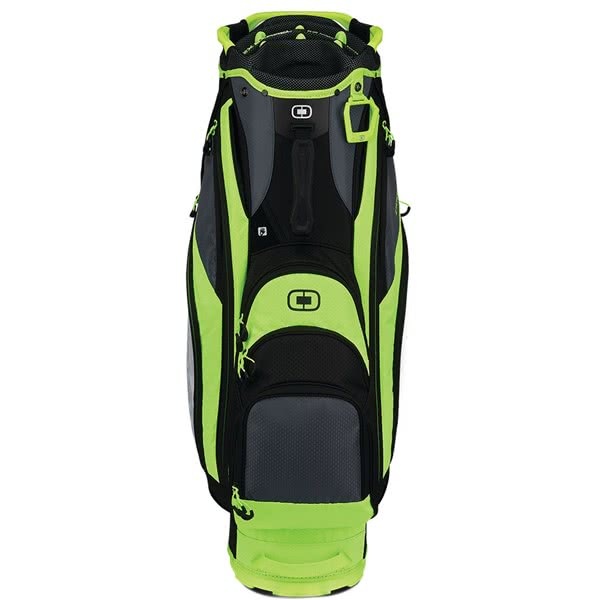 OGIO’s lightest weight cart bag is loaded with features and light as a cloud. 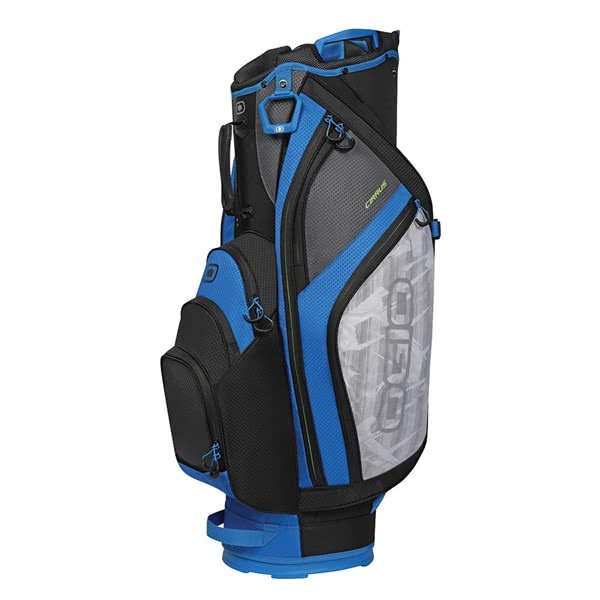 A blend of lightweight materials and creative engineering delivers this well-featured bag.